Even for large amounts of waste you can totally rely on Swirl®. 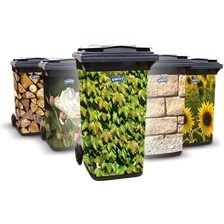 PRO heavy duty waste sacks with their puncture proof 3 layer foil are especially tearproof and leak proof. A strong solution for the transport and disposal of all heavy waste up to 35 kg.